Mike Cramer is a freelance agent. As the series begins, he is not an agent in any capacity - he barely has a job and certainly has no life to speak of and little hope of getting one now that he has been allowed to leave Britain's Special Air Squadron. His only friend is a bottle and only as long as it holds something. He has let himself go both physically and mentally as he tries unsuccessfully to live with a crushing blow life has dealt him, a result of the work he did in the SAS during the Troubles in Northern Ireland. In his mid 30's and getting a bit of a gut and easily winded and hating himself more than a little, Cramer helps run a paintball arcade and has no prospects for improvement when his former commanding officer comes with a freelance assignment. He truthfully tells his friend and mentor he is in no shape for such a mission but when he learns it is to go against the people who hurt him so badly, he decides to take the job. And, his commander admits, sending in an agent in such a sorry shape would help him fly below the enemy's radar as no one would expect such a broken man to be a danger. It does not take long for Cramer to prove to others as well as himself that just being out of shape and drinking too much does not destroy years of training and practice and in-the-field experience and soon Cramer is back to being the man he once was, with a mission to fulfill. While in the SAS, Cramer had the nickname of "Joker" but those who have to face him find nothing to laugh about. It is far more likely that he got the name because he was a wild card whose entry into a situation can change everything. 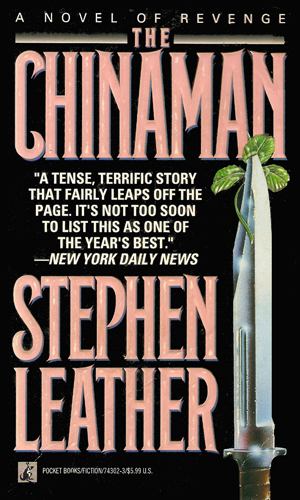 Note: The first book in the series, .The Chinaman, definitely has Mike Cramer playing an important part but it is near the end and overall his involvement is very minor and amounts to little more than a cameo. Nevertheless, I include it because he is in it. Nguyen Ngoc Minh had long ago given up killing when he left Vietnam but while there he was an expert at it for both the Viet Cong and then the Americans. Now he happily runs a small business in London when an IRA bombing takes his family and decides to go after revenge. An intricate assassination test run is caught on tape and the FBI is trying hard to determine who the intended victim is. In the area is Mike Cramer out to find the IRA terrorist who destroyed his life. The two events are definitely related. 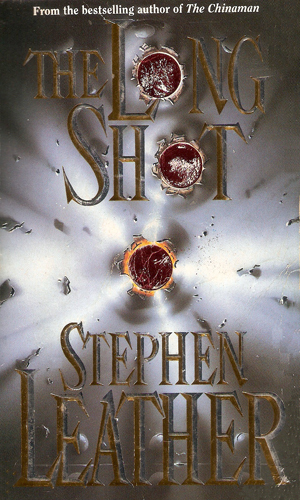 The word is the the world's best assassin has a hitlist and the FBI wants to stop him from completing it. To do so, they ask Mike Cramer to take the place of the next guy on that list. As he reluctantly agrees, he does not know that another IRA extremists is gunning for him. 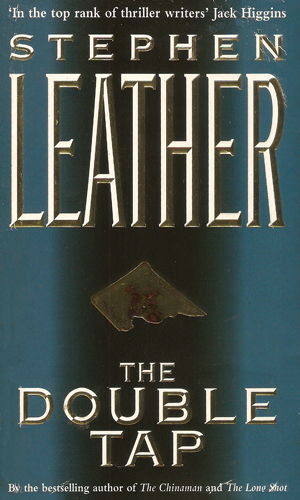 It seems possible that when Mr. Leather started out with these books, a series was not planned. Mike Cramer was a small player, though an interesting one, in the first book. In the second he has a starring role and is the main man of action though FBI agent named Cole Howard is every bit as important and fun to follow. It is the third book that Cramer really dominates but even there he shares the stage with other interesting characters. Whether the author intended to make a series out of Cramer, I am glad that he did because the books are a must-read for thriller-lovers like I. The switching between police procedurals and dark alley covert action is handled with incredibly deft hands. There is none of the "enough of this, let's get back to the action" because the swapping is intelligently handled and all parts of the story are fun to read.